Romance is waiting at La V. The Pink Lady, with its Mediterranean architecture, eclectic coastal cuisine and Old Hollywood glamour is the perfect place to connect on an intimate escape for two. 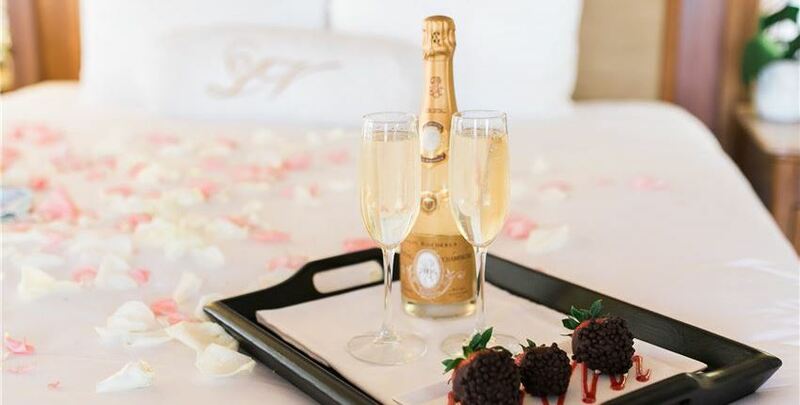 Enjoy a welcome amenity of dark chocolate truffles and pink sparkling wine on arrival, then indulge with a $100 dining credit at THE MED, surrounded by views gazing out over the Pacific Ocean. Plan the perfect romantic escape for two to La Jolla Cove.